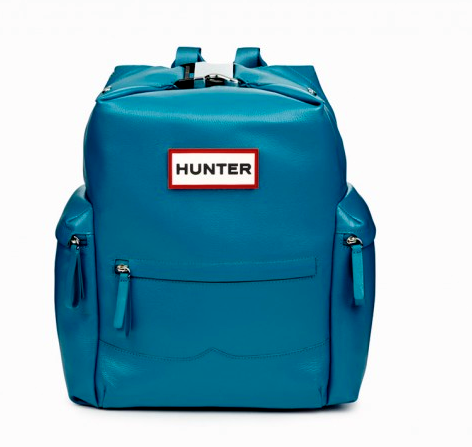 The famous rainboot brand Hunter has finally added a new product, and it just so happens to be a “backpack”. Soon, and I mean very soon starting tomorrow August 15th, 2014 will start offering backpacks as part of their Original Brights collection. Coming in two styles; in supple leather and bonded rubber versions, with both versions featuring spacious external pockets, a padded laptop compartment, and an oversized nickel parachute clip closure. The leather bag is composed of 100% coated calfskin while the rubber is bonded, making all of them water-resistant, which is only right when you have a rain boot brand producing a bag, how could it not be water-resistant. 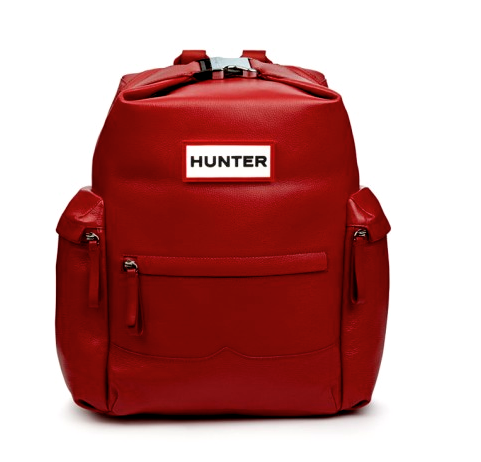 Hunter will offer several colorways like military red, cobalt, black, yellow, and “peacock,”. Here’s the scoop on the official release date of the bags; the black bag will release tomorrow, on August 15, with the rest releasing on September 1. Unfortunately only the yellow one will be available worldwide, while others will be open to the US. View more colors below! US Readers are you ready? That red and blue are my favorites. These are going to sell out! I think we’re all agree that the red bag is the best!